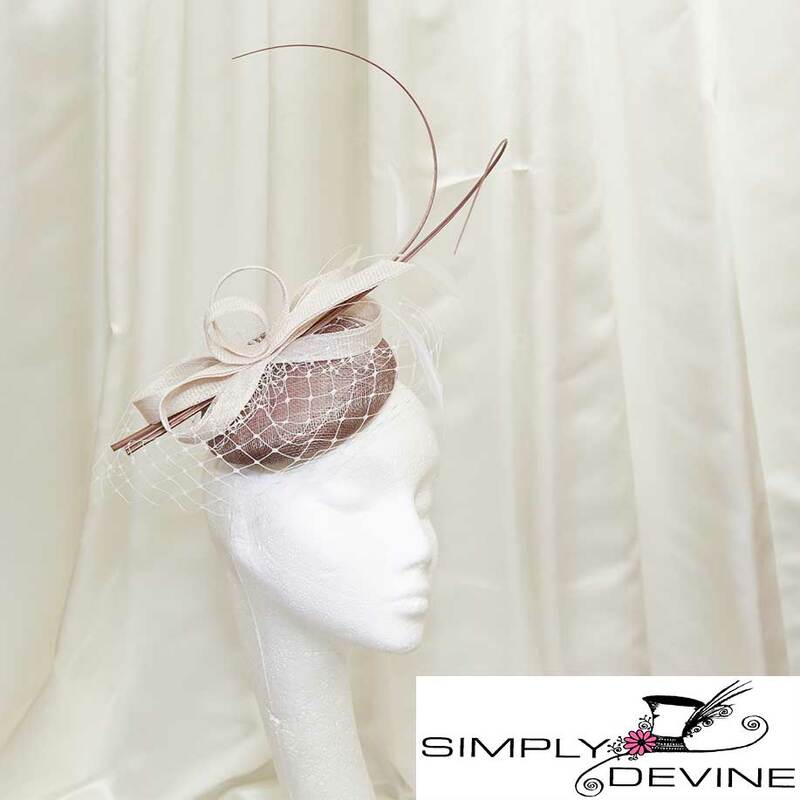 A gorgeous traditional pill-box hat in delicious coffee and cream with cream veiling and matching sinemay bow and feathers, topped off with complementing coffee quills. It is held in place by elastic. 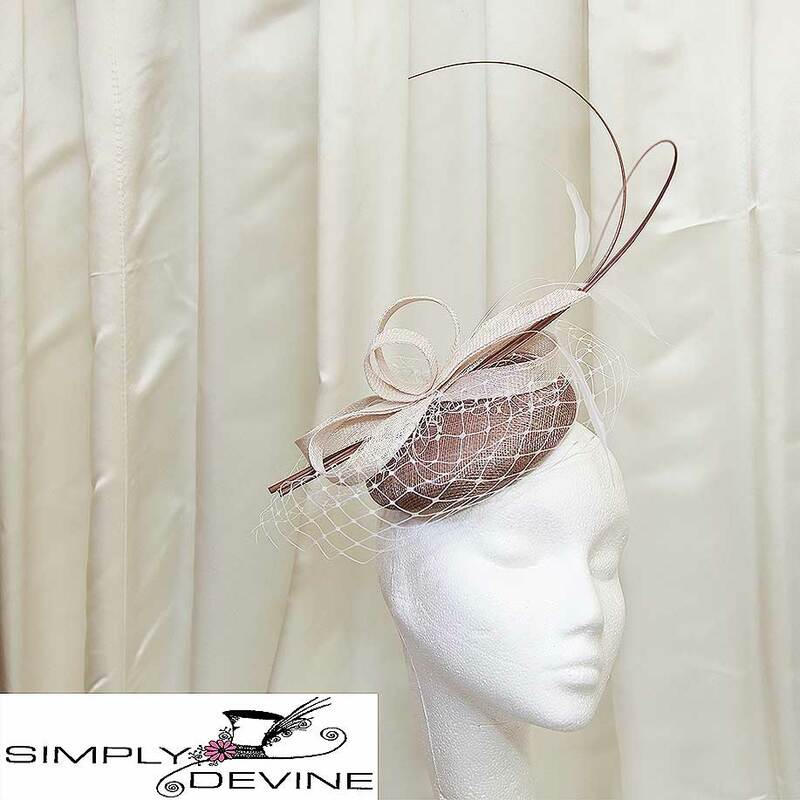 This pretty pillbox is perfect for a wedding or a day at the races and will stay in place all day.